Donald Trump’s purchase of the Doral Resort will become official on June 1. Photo Eoin Clarke/www.golffile.ieDonald Trump declared himself a huge fan of new world No 1 Rory McIlroy, insisting golf’s golden boy doesn’t need his midas touch. “Rory is fantastic, he’s amazing,” Trump said at Doral on Thurday, where he spoke about his plans to invest more than $200 million in making the famous Miami resort one of golf’s must-play destinations. Donald Trump speaks to reporters at Doral on Thursday. Trump has bought Doral for $150 million and now plans to revamp the TPC Blue Monster championship course and make Doral the ultimate golf destination. Trump said the course would be shut down after the 2013 tournament, and Gil Hanse - selected on Wednesday to design the course in Rio de Janeiro for the 2016 Olympics - will renovate what is now called the TPC Blue Monster. Trump is likely to change the name of the Doral course but won’t decide until the project is finished. He added: “Doral can be the absolute best,” he said. “We are going to do this really right. I view it as a business, but it’s not my main business. Rory McIlroy still has a way to go to rival Tiger in the popularity stakes - but he’s closing fast.Debate is raging amongst the golf media right now. 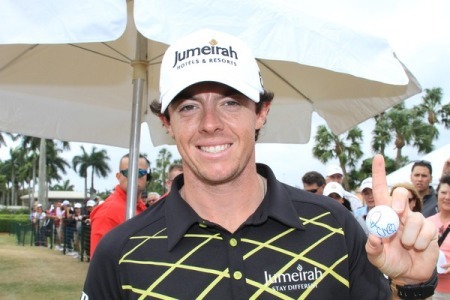 No, not about Donald Trump’s combover, which we are to see in all its mysterious glory here at Doral on Thursday, but whether the biggest story to emerge from the Honda Classic was Rory McIlroy’s rise to world number one or Tiger Woods’ final round 62. Ernie on Rory: "I look back, I did a lot of silly things"
Ernie Els regrets not stopping Rory McIlroy walking off the course. 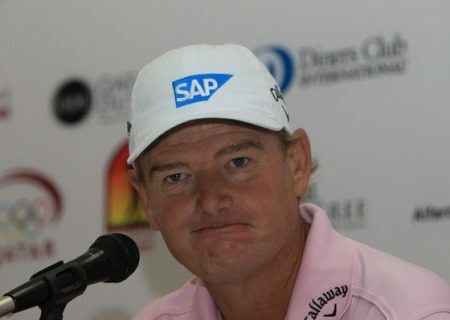 Photo Eoin Clarke/www.golffile.ieErnie Els regrets not making more of an effort to talk Rory McIlroy out of his shocking decision to walk out at the Honda Classic.